Engage your students in game-based activities as they learn about the earth - inside and out - as well as its resources. 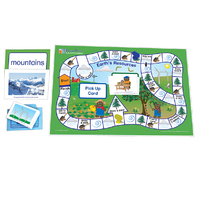 Packaged in a durable pouch, the game can be used in the classroom, after school programs or home practice and are perfect for differentiated instruction. 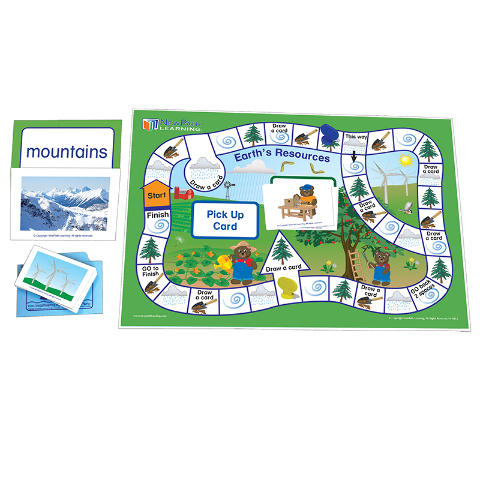 Designed for either teacher-directed or independent play in groups of 2-4 students, each game includes a Laminated, Hands-On Board game with 30 illustrated, self-checking cards and game materials for up to 4 students; two sets of 30 Flash Cards printed on heavy 4" x 5.5" stock, providing matching activities to challenge students to correlate up to 3 associated attributes; and a Teacher's Guide with step-by-step instructions as well as recommended, additional skill-building activities.